Google just released a tool that will help people understand their tech usage and I am a little bit afraid of it. Ok, a LOT afraid of it. I’m not so sure I want to know how much time I spend online. I mean… I know that I need stay connected for my job. At least, that’s what I tell myself. But no one is making me watch all those cute little cat videos! I just can’t pull myself away!! Somebody help me!!! This new YouTube tool aims to do just that. Knowledge equals power and their plan is to show people just how much time we spend online. This way we can sit back and recognize that there are so many other things we could do with the 96 hours a week we clock into the Tube… like build an arc, or discover another galaxy, or find the meaning of life. Know how much you actually watch (new! ): To give you a better understanding of how much you watch, YouTube / Google has built a profile that’s available in your Account menu rolling out starting today. This profile tells you how long you’ve watched YouTube videos today, yesterday and over the past 7 days. I AM SO AFRAID TO LOOK AT THIS. 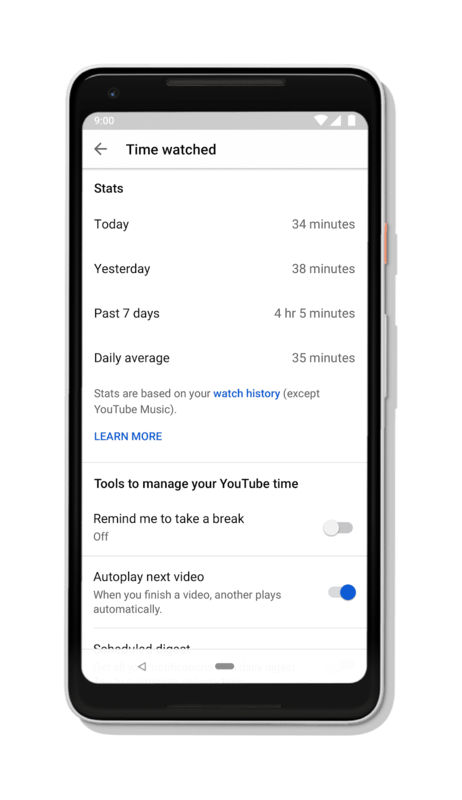 Keep it to one notification a day: If you want more control over when you receive notifications from YouTube, you can bundle all of your YouTube push notifications into a single notification each day and set a specific time to receive your digest. What do you think about these changes? Honestly, I think it’s a wonderful step in the right direction. Social media literally has changed society as we know it. In what way – that’s entirely up to you to decide. But I have such respect for this company because you and I both know that they don’t have to create these checks and balances. They could literally just continue to push out content and dominate the Interwebs as usual. But instead, they are keeping our best interests in mind which I absolutely appreciate. I am grateful for these checks and balances and look forward to using them!